As you start to build a surround sound system for your viewing room, there are a ton of different options to go through as you choose the right unit for your setup. Power, great sound, design, and pricing all come into play. Luckily with Fluance, a company out of Canada, you can get everything and more without breaking the bank with their signature series as I discussed with their Hi-Fi Three Way Floor-standing Speakers. Here, I will talk about the Signature Series of their Hi-Fi Two Way Bookshelf Speakers, which are under $200 and pack an excellent range of sound, and look sleek and clean. For the price point, there isn't really anywhere else you should look but Fluance. For the amazing price, there are no complaints for what you receive. Again, as with the floor standing speakers, these are not speakers that are easily concealed, hidden, or meant to be swept under the rug. These speakers are meant to be center pieces of any room and are designed to draw out audible gasps at their beauty. The speakers weigh in at 9.7 pounds each and measure 12.8 x 7.87 x 8.22 inches. 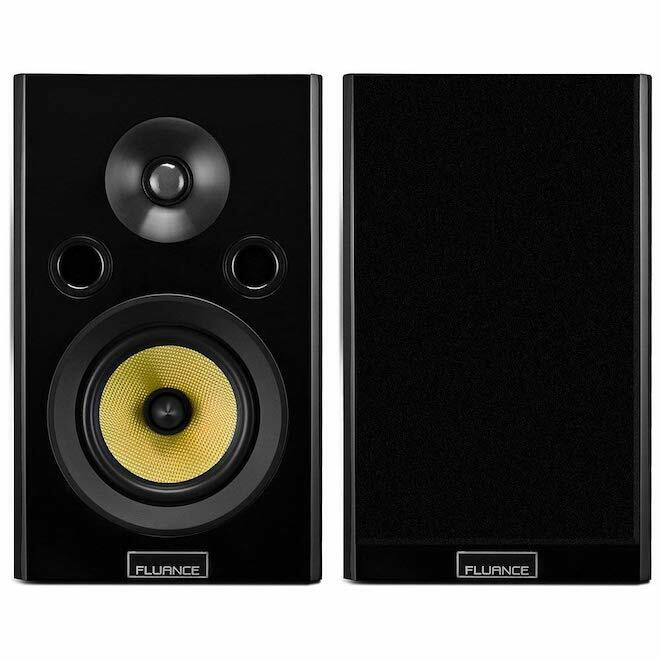 Fluance also states that these bookshelf speakers can be used in a Dolby Atmos setup and surround sound system if you're custom picking and choosing. In addition to that, you can use these two speakers as a stereo pair for listening to music or even watching films, both of which sound excellent. 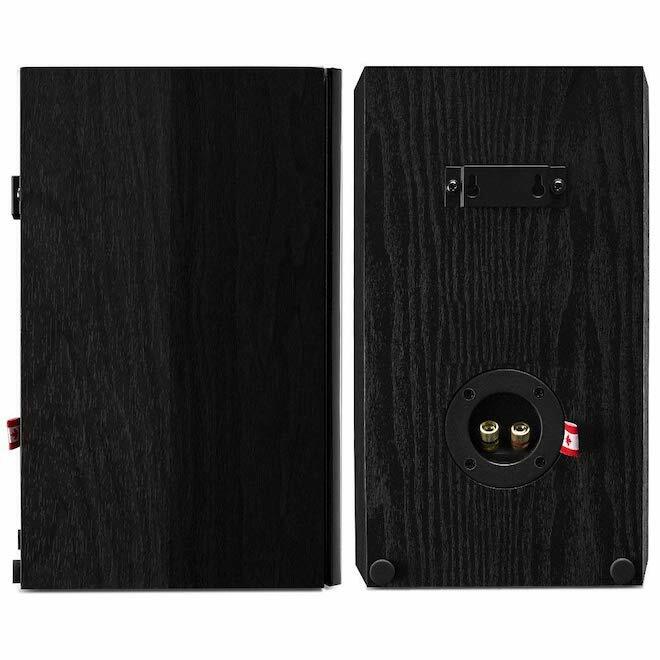 The speakers are black in color with a font black gloss and black wood elsewhere. It's uniquely polished and looks great. There are dial front facing bass reflex outputs, and Neodymium tweeter and a great mid range driver of gold fiberglass with a black pointed dome center that exudes elegance. The tweeter is polished silver, making for a great looking speaker. The grill is black mesh and is magnetic that sticks very well. The rear of the speaker holds the speaker wire inputs, which gives you the option for banana plugs or the wire themselves, along with an optional mounting bracket. 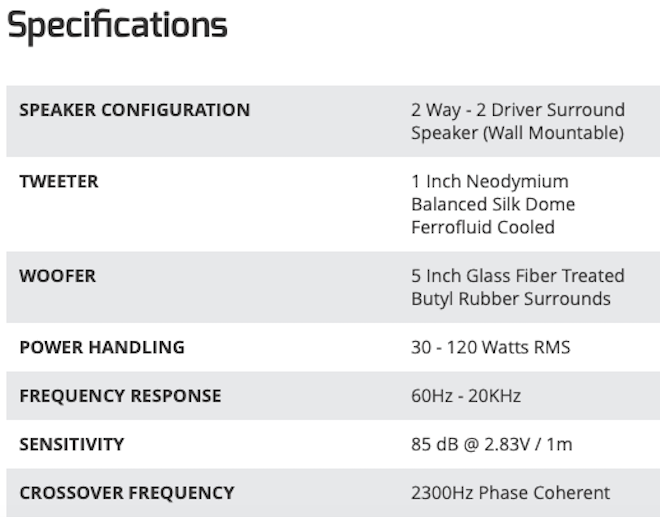 These are speakers to show off for sure. I started watching Star Wars: The Last Jedi where I wanted to listen to all of the sound effects throughout the film. I wasn't let down. Sound effects are nuanced in each space battle, action sequence, and even the quieter moments. Explosions, laser blasts, and ship sounds are all robust and dynamic in every way possible with excellent directionality. You’ll feel fully immersed in the action sequences with numeroussound effects going off in all directions. On the isolated island with Skywalker, you’ll hear the rain storms and animal life, while Rey is practicing using the force. Speaking of the force, that low rumble of bass is heard and is perfectly set to rattle your bones. That low end is phenomenal. Other ambient noises are quite loud and often pour from the rear speakers. The score of course by John Williams is magnificent and adds that magic and mojo to every single scene. The dialogue is always clear and easy to follow along with with no audio dropouts. 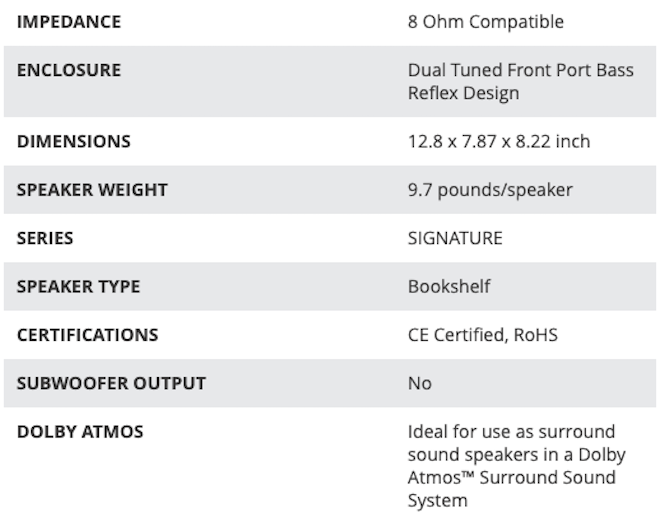 For these two bookshelf speakers, they sure packed all of the sound. Being the expert pro-wrestling aficionado here, I decided to watch Summerslam 2018 through AppleTV and the WWE Network App. The two speakers perfectly captured the crowd's cheers and boos easily along with a full dynamic sound of each superstar's entrance music that had some heft to it. Every time a superstar would slam on the ring mat, there was a loud, deep bang that had perfect reverb. Perhaps the best moment of the PPV as well as the sound was the triple threat match between Charlotte Flair, Carmella, and Becky Lynch. Flair won the match, but the crowd was basically silent after the match as Flair and Lynch were shaking hands and hugging each other after a brutal beat down. Only a few claps and cheers could be heard in different places. However, Becky Lynch turned full heel and attacked Charlotte with a ton of punches, which the entire arena erupted with loud cheers. The speakers basically took off towards the sky and lit up the room with tons of sound and the commentators yelling. It was the perfect explosion of music, thousands of people chanting Becky's name, and the commentators shocked on what just transpired. I then listened to the KISS album "Hotter Than Hell", which I always think KISS sounds better on vinyl than anything digital these days. Most people forget about this album, but I think it's their best album to date. In the early to mid 1970's KISS was already popular, but maybe with this album they were going through some relationship issues, as a bunch of the songs deal with rocky kinships. The sound of the head rock guitar riffs, bass, and drums are all tight and form fitting in this album, which the speakers catch perfectly. The vocals cast out the sharpness of the rock yells nicely too. Ace Frehley's guitar solo on 'Strange Ways' is out of this world and connects with each pitch perfect chord and note he plays. Even though some of the songs on this album can be taboo, the sound is never compromised and these Fluance bookshelf speakers capture every bit of it perfectly. There isn't anything to complain about at all with these Fluance Signature Series Bookshelf Speakers. For the price, you won't find better. 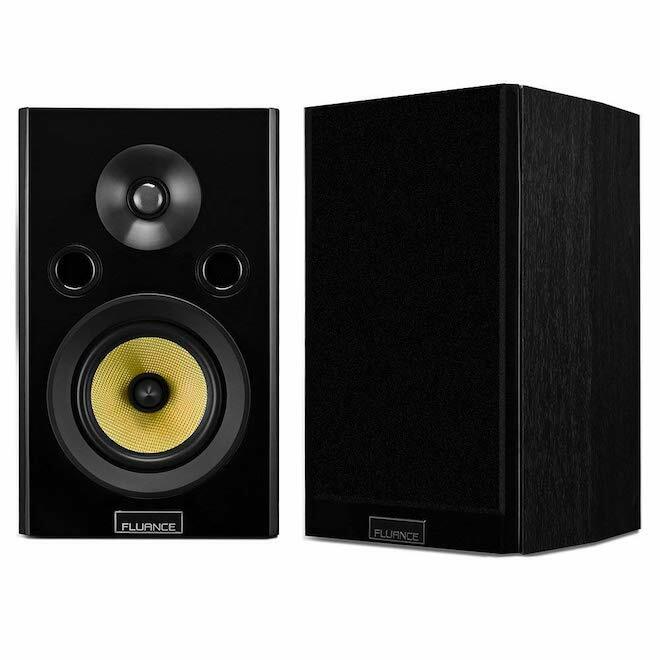 If you want to add them to an existing collection for surround sound or Dolby Atmos, these make a perfect addition because they certainly pack the power to do so. If you want them in a small room as well, they will fill up that room with sound. 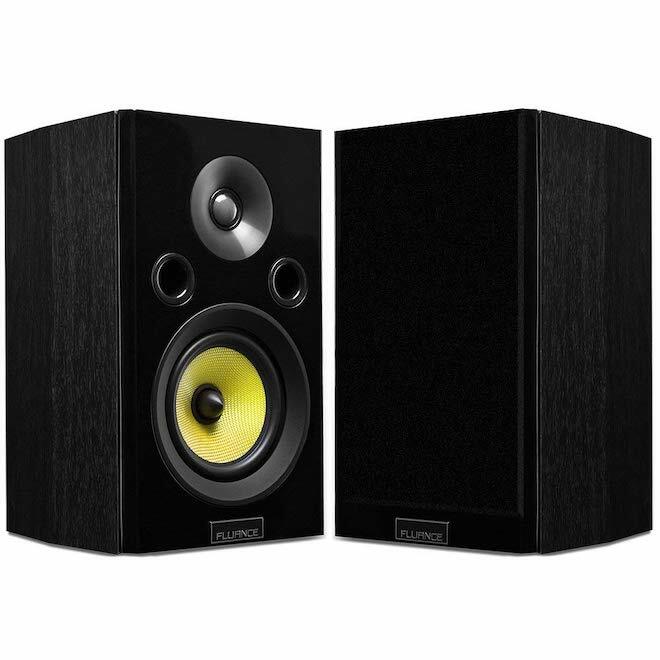 If you only have these in a very large room with no other speakers around, you might want to have something a little bigger, but other than that, these speakers are the ones to get and won't break your bank since they are under $200. They look elegant and have the inner workings of some of the best brands out there that emit a truly wonderful sound.